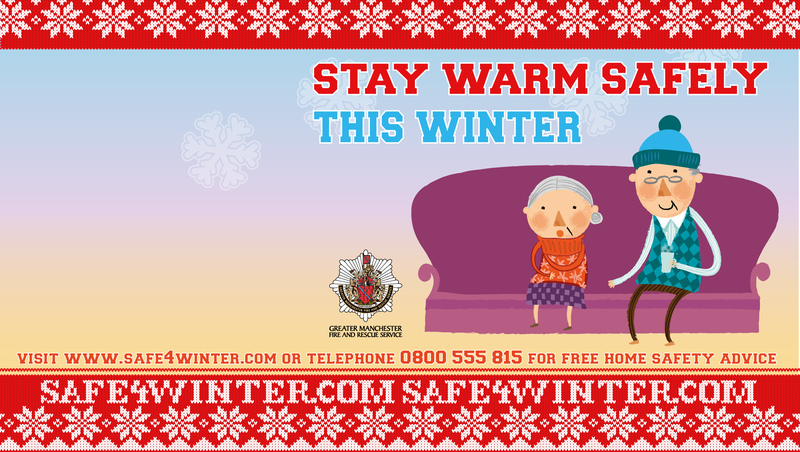 In 2014, Greater Manchester fire and Rescue Service (GMFRS) wanted a campaign to alert people to the dangers of hypothermia, and thin ice, and to encourage communities to watch out for elderly relatives and neighbours. The challenge was to design something impactful, friendly and not fear-based, to engage a wide target audience, using a range of channels. 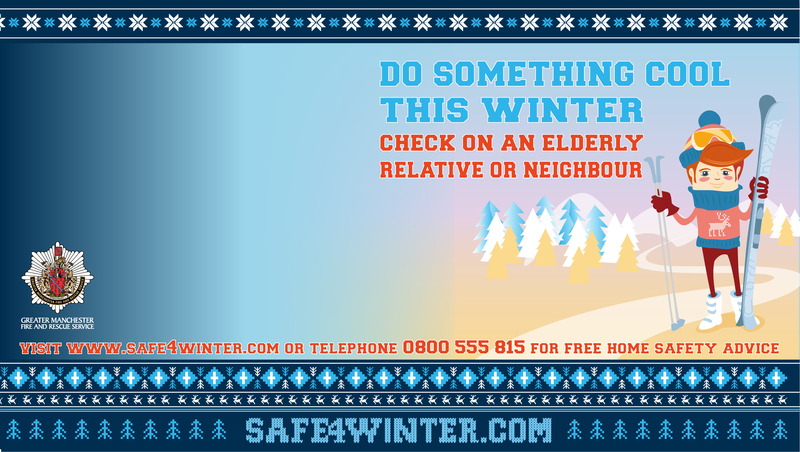 Channels included: community vehicles, posters, station banners, Manchesterfire.gov.uk and safe4winter.com, emails, social media and ‘Winter warmer’ packs delivered to elderly residents identified as at risk. The theme I created was ‘Christmas Jumpers’. I used the theme to create three very distinct messages for different audiences, while staying true to the central design. I created artwork using photoshop, Illustrator and InDesign and repurposed for the various channels. Feedback showed that messages were fun and attention-grabbing. 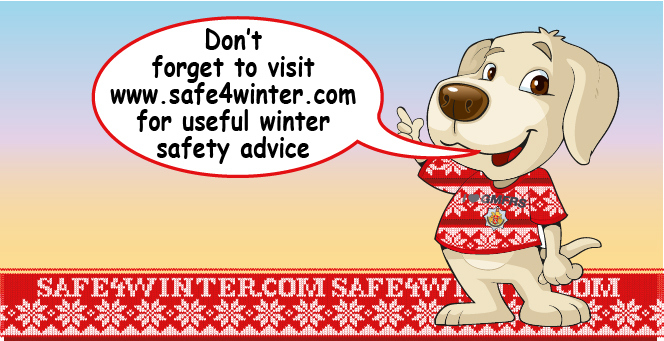 Hits on www.safe4winter.com/ were up on previous campaigns and my artwork was used again for winter 2015. The messages spread quickly on social media, driving traffic to the GMFRS website. People were reminded how to stay safe at a time of year when many additional GMFRS callouts are caused by the weather and temperatures.